Some of the best composers we know today were able to perform so beautifully well with the classical piano. It is reputably one of the outstanding musical instruments we have in this era. Classical music with the piano can easily be blended into any event or setting despite that fact that it dates back as early as the eighteenth century. The exceptional melody produced by the classical piano has a spectacular orchestral appeal. It is not surprising to find so many people willing to learn how the classical piano is played. Becoming a pianist is now easier in these times. There are so many online websites where teachers offer classical piano lessons. These online lessons have been satisfactorily used by hundreds of people to achieve their goals of learning or improving their skills. Fortunately, the online classical piano lessons are versatile and mostly suitable for everyone. The following websites offer online free or paid classical piano lessons. The online classical piano lessons on artistworks are simple yet effective. After registering for the course, students are given access to hundreds of learning materials online. The lessons are in the video format with options to exchange videos for professional feedback. Students can record their training sessions and upload for a professional review from the instructor. These videos are also available for other students to watch and learn. The online lessons are structured for beginners, intermediate and the advanced classes. There are also music theory classes aimed at teaching students how to read music. The online premium classes offer monthly broadcasts from the teacher and other VIP bonus materials. 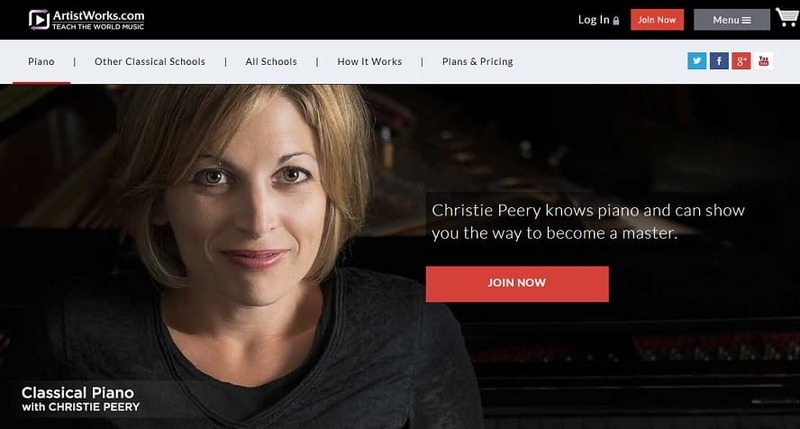 The online classical piano lessons on artistworks are organized by Christie Peery Scousen. She is a professional pianist and teacher who won her first international competition at the age of thirteen-years-old. Skousen has had many experiences as a soloist with international symphony orchestras. With her help, many students on the website have been able to achieve their dreams of becoming pianists. The reviews on the site are remarkable; they reveal a targeted and practical approach to learning how the classical piano is played. Udemy is an online academy where students can get short or long-term classical piano lessons. On the website, there are courses pre-made by experienced pianists. These courses include boot camps to teach people the basics and extensive courses that cover more critical areas for people who need advanced lessons. The options are many. You can find online classical piano lessons for beginners and others targeted at intermediate players. Experienced pianists can also find lessons to improve their skills. The online lessons last from thirty minutes to two hours depending on the scope. During this time, the students have access to the pre-made lectures which cover the entire course. 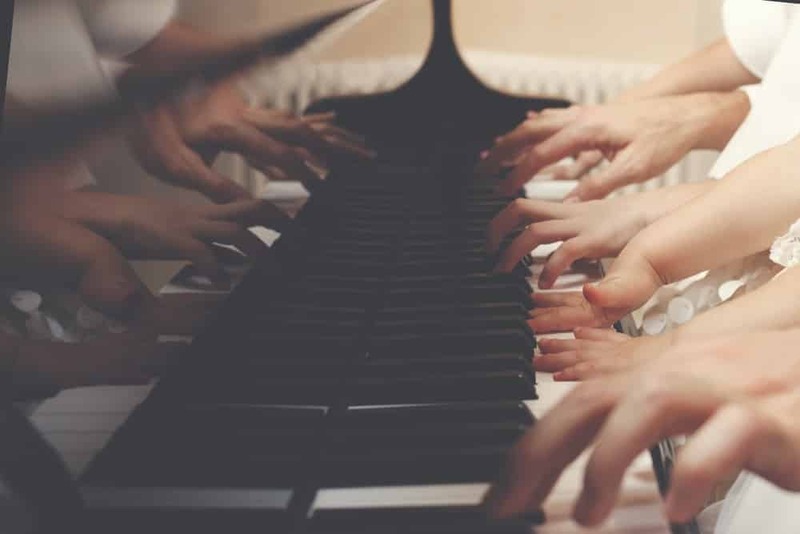 There are teachers who offer to help students improve piano improvisation, learning popular melodies, understanding the notes, and music theory. It is quite easy to make a choice among the various learning options on the website. The courses are rated based on a five-star scale to help new students decide which program is most suitable. The students can also choose courses based on their particular needs. Some lessons are targeted at helping the students improve their repertoire while others are more focused on music theory or composition techniques. The website offers a thirty-day money back guarantee for students who may not be satisfied after taking a course. On this website, students have access to different classical piano learning categories such as the beginner, intermediate, or advanced courses. The lessons last for about thirty minutes, mostly divided into short sessions to cover the entire course. The classical piano lessons include subjects such as music theory, live performances, video lessons, and audio engineering among others. There is a course that teaches students how to sit and position the hands, practicing the two-hand harmony, practicing catalogs from famous composers, reading sheet music, etc. 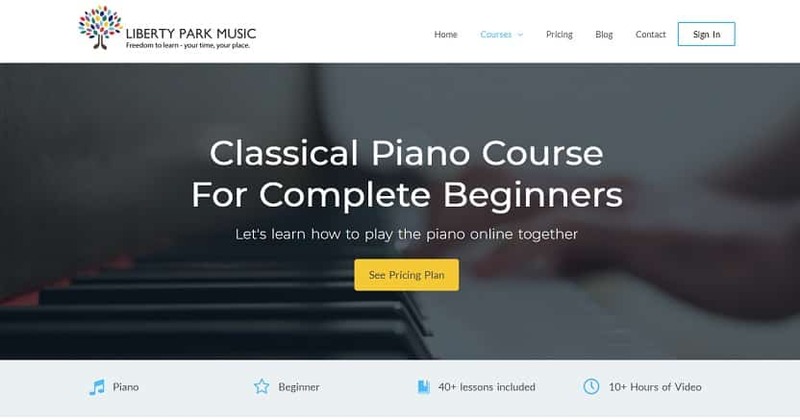 Many of the instructors on this website have structured their online classical piano lessons to help the students learn at their own pace. The techniques are focused on helping the students practice and become better at their piano lessons. The instructors on this site have been vetted by the administrators to confirm they are experienced and able to meet the needs of the students. Experienced pianists who also need to learn how to record their compositions can find instructors who can help them achieve their goals. The site is of high quality, and the lessons are varied to help students learn more about the classical piano online. You can find so many gigs on Fiverr that offer online classical piano lessons. The lectures are mostly presented as pre-recorded video lessons. There are also real-time private lessons done via Skype or Facetime. On the website, students can select and purchase gigs with descriptions most suitable to their goals. The gigs offered basically cover important areas such as the classical piano lessons for beginners. Other areas such as learning the chords, improvisation, and how to play songs are included in the lessons. The instructors specify the duration of each course and the areas that will be taught during each lesson. 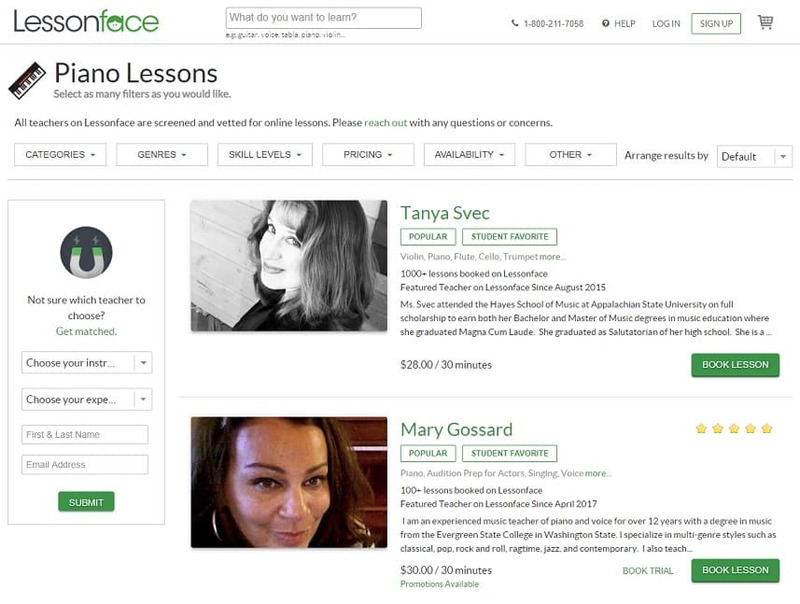 The instructors on Fiverr are rated based on a five-star scale. This feedback is provided by past students, and it helps new buyers know the quality to expect after purchasing the gig. Learning can also be continuous. After the first lessons, students can buy the gigs again to learn new skills, advancing from the intermediate to advanced lessons. The online piano lessons on the site are quite affordable, and the lessons are scheduled to enable students to learn at their pace. It is also to find instructors who are interested in helping people who have never played a classical piano before to learn the basics. This information is indicated in the gig description, while others may specify their lessons are only for experienced players who need to improve their techniques. On this website, students are offered membership plans. As a member, you are given access to the learning materials for the classical piano. The online lessons are mainly offered as instructional videos to guide the members through the course. The tutorials on this site are specifically designed for beginners. The package includes over forty online classical piano lessons that last for a duration of ten hours. The video files have however been organized to help members progress through the lessons at their own pace. Members watch the tutorial videos to learn techniques such as thumb crossing, articulation, dexterity, and other skills that help them achieve harmonization and increasing tempo during practice. The modules on this website have been designed to cover the basic and advanced classical piano lessons. The lead instructors are always accessible through a live chat bubble on the website. 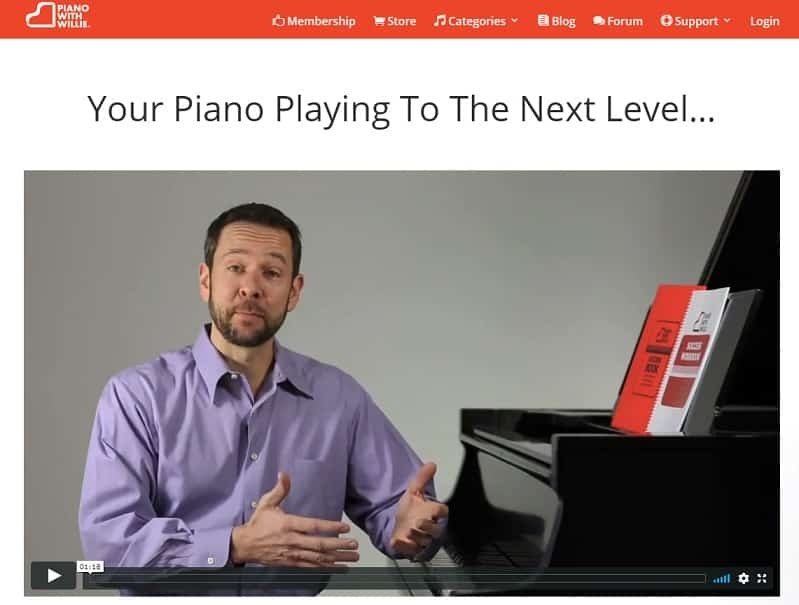 Members can remotely learn important tips and hints to improve their skills as pianists. This includes postural guidance while sitting and playing the piano, reading music, learning about the scales and notes. The videos are of high quality which makes it easier for members to learn from their homes. The classical piano lessons on this website are simple and precise. 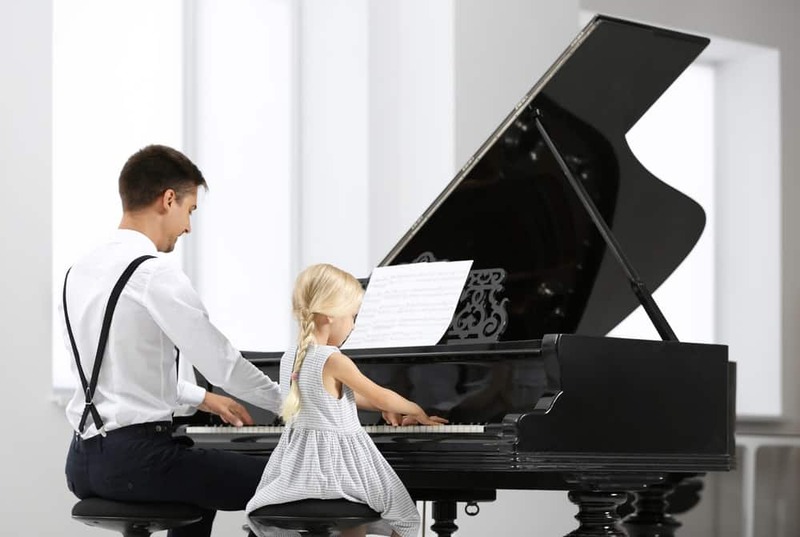 They are designed for both adults and children who wish to become pianists. The focus on clarity makes it easy to follow the piano lessons and practice as often as needed to improve skills. The lessons are developed based on the following principles. Also, the scope covers understanding music theory, playing by ear, improvisation, mastering techniques and songs. The first lessons are offered for free after registering on the website for the online classical piano lessons. Then, students have access to engaging content such as games, practice materials, sheet music to learn notes and scales, as well as listening tracks to aid practice. The website is owned by Joseph Hoffman. He calls it the Hoffman academy where even children can learn how to play the classical piano. Hoffman has a Masters degree in music and extensive experience in teaching music. His methods are simple and professionally designed to help everyone achieve their dreams to become pianists. The tutorial videos are of high quality. Students can also take advantage of the premium service which offers live video interactive sessions where students can learn more about playing the classical piano. The online classical piano lessons on this website are designed for students at all learning levels. The online lessons for beginners start with the basics which includes how to sit and position the hands while playing the classical piano. 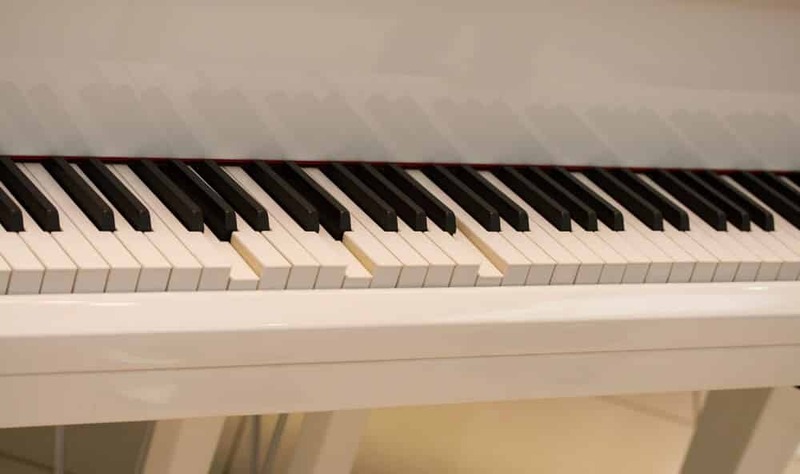 In addition, intermediate and advanced learners are exposed to tips and hints to help them learn better techniques used for renowned pianists. The courses are made to help students learn how to play the classical piano at their own pace. The lessons include understanding sheet music, listening to pre-made recordings, which can also be downloaded for practice purposes. There are seven experienced teachers on this website. Include men and women who have played in concerts in the United States and Europe. All the teachers on the site are music professors. Their biographies have been published to give students an idea of the type of knowledge that can get by participating in the course. There are over one hundred video and audio recordings which have been explained by the teachers to guide all students. These materials have been identified to make it easy for students to know materials for the beginners and other levels. These learning materials are always available, students can learn at their convenience. The lessons on this website offer a fun and practical way to learn how the classical piano is played. The simple guide makes it possible for students to learn and play their first song within five minutes. Playground Sessions is co-founded by Quincy Jones who is a prolific pianist and Grammy award winner. The online classical piano lessons start from the basics which proceed to cover advanced levels. Students can learn how to play popular songs by the Beatles, Beethoven, Adele, and many others. The lessons are focused on practical training to help students master how to read music, improvisation, and understanding the chords. The website features online software which detects when you play the right notes. The software displayed on a computer screen turns green when the note is right, but it turns red when an error is made. The website is easy to use, and everyone can learn. There have been children as young as seven years who have started with the basics and learned how to play the classical piano. Students can learn remotely using computers or mobile devices. Music teachers can also use this website to teach their students in the physical classrooms. Piano Marvel is a monthly paid website where children and adults can learn how to play the classical piano. The site offers hundreds of learning materials and tools which include instructional videos and audio files to aid students. The interactive learning program is aimed at teaching students who have never played the classical piano before. It also includes tips and techniques to help students increase their speed while playing the piano. The learning course on this site is suitable for people who plan to practice with the acoustic piano, digital keyboard or the MIDI controllers. The music library on the website is updated daily to provide more options for the students. Learning how to play the classical piano can be remotely done by using laptops or mobile devices. The free account gives users access to the basic learning materials on the site. Premium membership gives users access to premium content, high-quality videos, the entire music library, and innovative games to help children learn faster. After registering an account, users will only be required to login at any time to begin or continue their lessons. 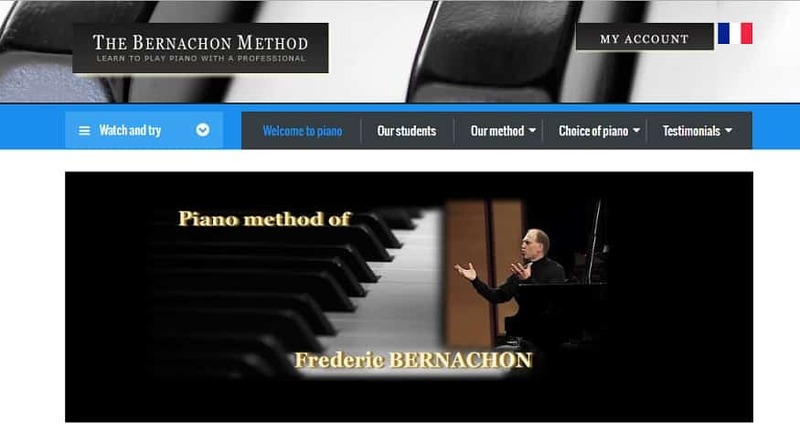 The site is easy to use and a reliable source of online classical piano lessons. The membership plan offered on this website grant user’s access to a wide range of learning materials. These tools have been tailored to the different levels of classical piano lessons. The lectures include practical and theoretical features which give the learners more experience while learning remotely. The membership is open to everyone. After registering on the site, members can select the most suitable materials they need from the library. During the course, members are given feedback on their progress. This is done via video files which show the instructor explaining mistakes and how improvement can be achieved. The website owned and run by Willie Myette features learning programs divided into individual courses that can be purchased on after the other. The lessons cover the essential classical piano essentials as wells as tips to improve play and practice. The learning programs are regularly updated with new tools and features to aid students to practice more every day. The videos are also of high quality to help students understand the lessons. The website has a good design and students have access to customer support to improve their lessons. 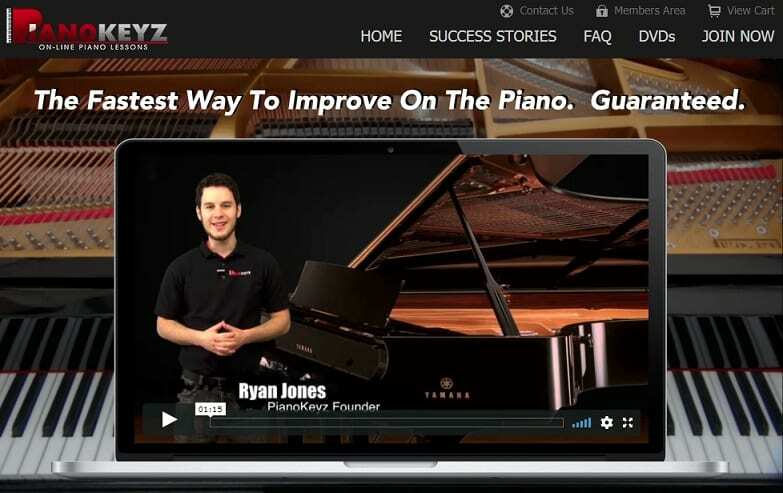 The online lessons on this website are tailored to different levels for all aspiring pianists. The lessons have been made easy so students can start playing songs on the classical piano within a few minutes. On the site, the learning program covers aspects such as how to sit and place the hands while playing the classical guitar. Other lessons teach students how to use the left and right hand independently, improving focus and speed, how to read the music sheet, and to play a different genre of songs. The online lessons are interactive; they are organized as online tutorial videos and audio files. On this website, students have access to renowned teachers who have had many years of experience as pianists. They provide an interactive learning method to help students understand and focus while practicing. 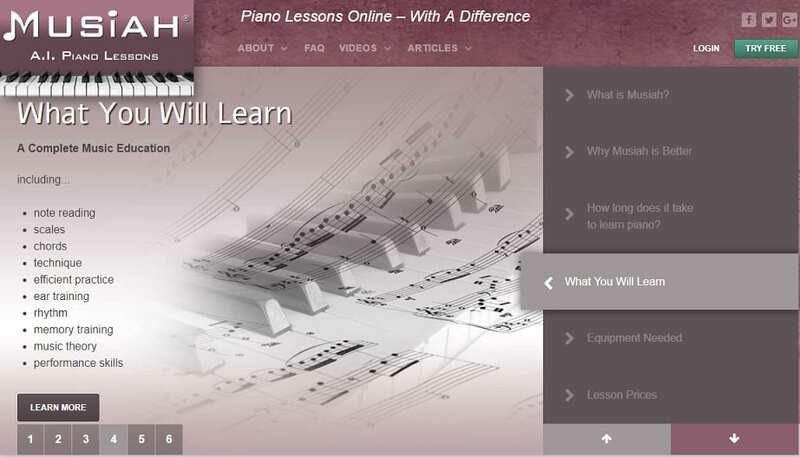 The online lessons are designed for beginners and others who may have had prior experiences with the piano. The download can be set up within minutes, and the first lessons are free. 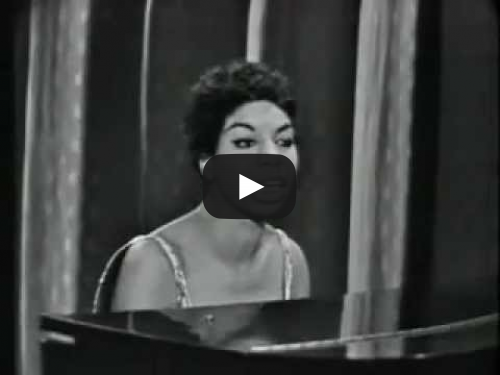 These introductory lessons help students understand the basics of playing a classical piano. There are freebies on the site. All visitors stand a chance to win gift vouchers; the premium lessons give students access to more learning content on the site. The website looks good, and the features are easy to use by everyone who desires to become a pianist. The online classical piano lessons on this website have been prepared in a simple step by step order. By following this structure, students are guided through the different modules needed to become better pianists. The online lessons are in the form of instructional videos. The video lessons are refreshed regularly to ensure there are no broken files. 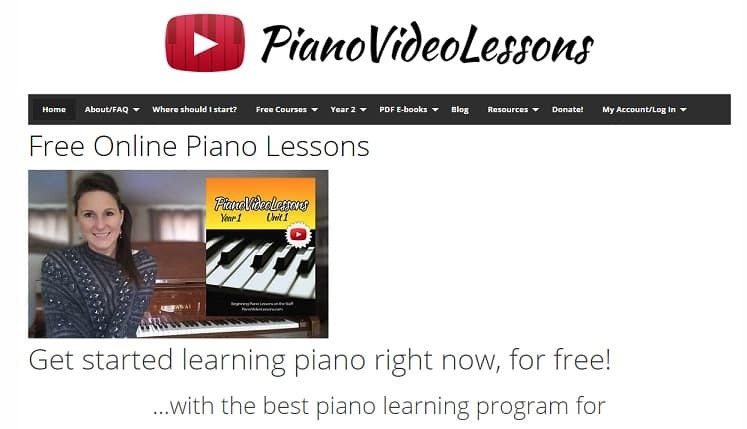 Students can watch these videos, study and practice the piano lessons remotely. After learning the basics, students can have access to hundreds of play along songs they can practice while learning how to play faster. Participating in these classes is risk-free. All students are offered a money-back guarantee if they do not get the desired results at the end of the program. The lead instructor on this website is Bonnie Morales. She has created an interactive online classical piano course to cover the essential areas. Bonnie aims to keep all students engaged by offering an easy and supportive learning platform. As members, all students have access to five weekly practical and theoretical lessons, pre-recorded lessons, an online community to interact and share knowledge, and reliable online support for all students. This website is for everyone who needs the fastest learning program to become a pianist. The simple lessons are created to guide beginners on how to start playing songs in a few weeks. The duration of lessons is flexible to meet the needs of the learner. Also, people who can already play the piano are welcome to learn new skills or refresh their previous knowledge about the classical piano. The lessons are majorly practical with very minimal theoretical learning. On the website, students find a course outline that helps them set achievable goals, practice often, and to develop their skills. 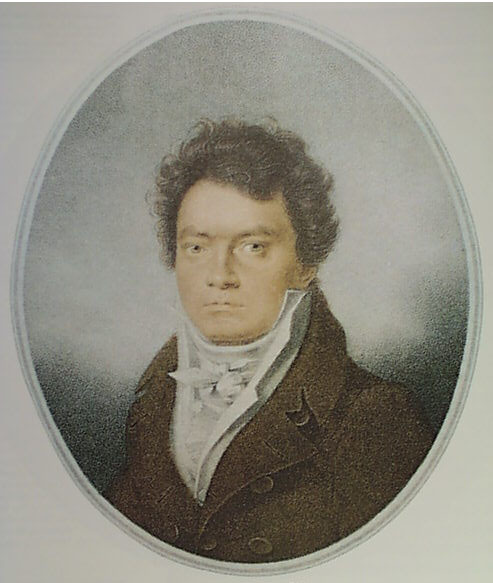 The website is owned by the renowned pianist Jacques Hopkins. He offers a free five-day course to everyone who wishes to experience the introductory lessons before committing to participate in the complete program. While having fun with the lessons, participants can understand their strengths and focus on improving weak points while practicing with the classical piano. The lessons are improved with features that remove the initial fear or anxiety people may feel at the beginning of a new learning experience. 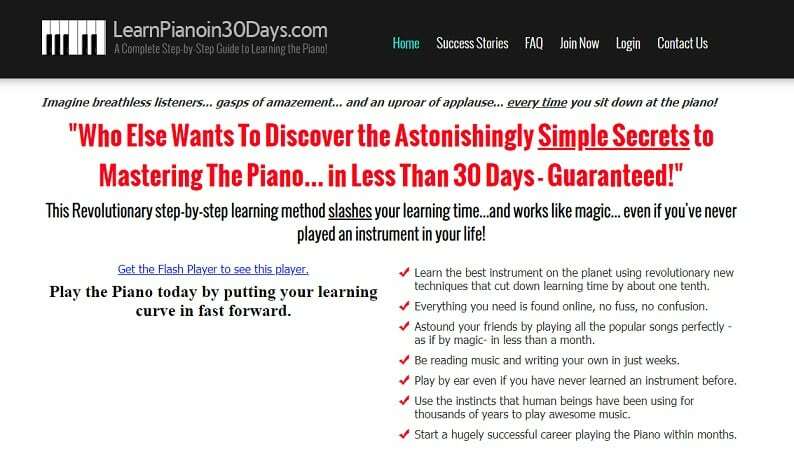 The online lessons on this website offer a chance to become a pianist in thirty days. The secret is simple. On the website, the mystery behind playing the classical piano has been demystified. The lessons are divided into simple step by step lessons that teach the participants the basics and simple processes such as postural guidance, learning the chords, and how to read music. The participants are then guided on how to start playing their favorite songs. The lessons are also suitable for people who have never played the piano before. Every lesson is simplified. The online support available to all participants can be used to communicate directly with the instructors. The reason these lessons work so well can be attributed to the practical orientation of the lessons. By making the learning process fun and exciting, participants encounter less stress and confusion. All the users of this website have access to hundreds of lessons and other learning materials in different formats. These lessons can be received via computers or compatible mobile devices. After the lessons, participants can continue how to play the classical piano even without using sheet music. There are hundreds of play along songs; the website also has an active online community where participants can interact and share knowledge. The online pianist website offers its audience the chance to master the classical piano. On the website the learning program has been designed to be flexible and easy to adopt. The website is suitable for busy people who need a personalized program to help them become pianists regardless of their busy lifestyle. The lessons on the site are compatible with a wide range of mobile devices and laptops. After download, learners are guided to complete the registration which gives access to thousands of online learning materials. The teachers on this site have added exciting features to the online lessons to help learners have a great time. There are many play-along songs that learners will be familiar with; these songs are for practice after learning the basics about playing the classical piano. There are also simple lessons for children who desire to become pianists. These lessons last for a few minutes each day; they help children find time to practice daily. People can also choose to learn using the virtual piano program which is detailed and quite easy. The piano lessons offered on this website are free. Everyone who desires to become a pianist at no cost can use these lessons. The learning materials posted on the website cover the basics and advanced piano lessons to guide beginners and intermediate pianists. It is a well-developed website, navigating through the pages is quite easy. Visitors can find the online lessons specially prepared for beginners and the advanced lessons. Some important lessons featured on the site include finger speed exercises, learning the chords, reading sheet music, postural guidance, playing piano by ear, and songwriting. The website was launched in 2009. Since its launch, the instructors have improved the database to include important training knowledge. The website is also going to be useful to experienced pianists who need more materials to increase their knowledge and techniques. The website offers a number of covers for popular songs that can be used for practice by all students. There are also informative articles that cover important areas which help students understand the different aspects of playing a classical piano. 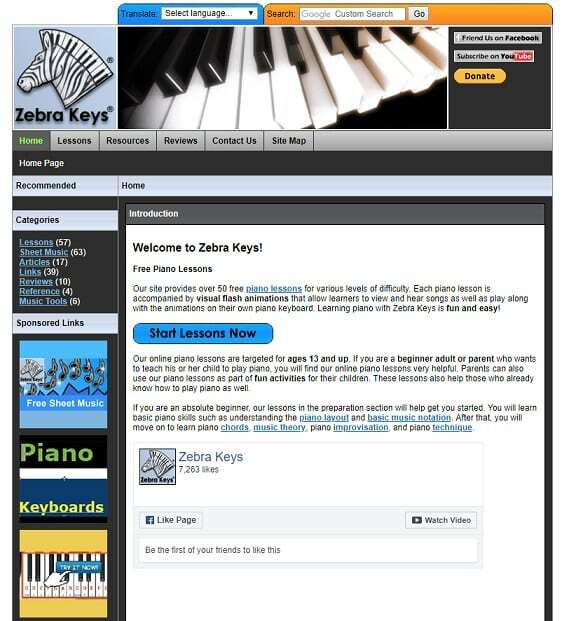 The online classical lessons on Zebra Keys website have been developed for people aged from thirteen and above. Visitors to the site are offered fun and simple lessons to guide them on a journey that ends with becoming a pianist. There are lots of free learning materials and over fifty free lessons to begin with on the site. One of the popular modules offers to learn how to use the sheet music which will be provided for free. After mastering this technique, the student can have blank sheets to compose their songs. In addition, students are taught how to position the hands, the correct sitting position while playing the piano and playing by the ear. The learning materials on this site are basically video files, and PDF files. At the end of the lessons, the students are expected to easily play along with songs and practice often with the classical piano. The website has a YouTube channel. Here, many instructional videos have been uploaded to guide the students online. Zebra Keys also organizes contests for its students related to playing the piano. The content on this website is free. This is a good site to learn important information such as key patterns, names of keys, the chords, note duration, and other important information. The videos are explanatory and easy to follow. This is a good website; it is also frequently updated to give all users the best information. Before paying the monthly fees on this website, you can try the free online classical piano lessons. The lessons are presented as pre-recorded videos which show the instructors demonstrating and explaining the lessons. There are tutorial videos for beginners and subsequent lessons to help them improve their techniques after learning the basics. The subscription options on the website are on an annual basis or for only three months. Teachers on this site are professional pianists and with many years of experience. 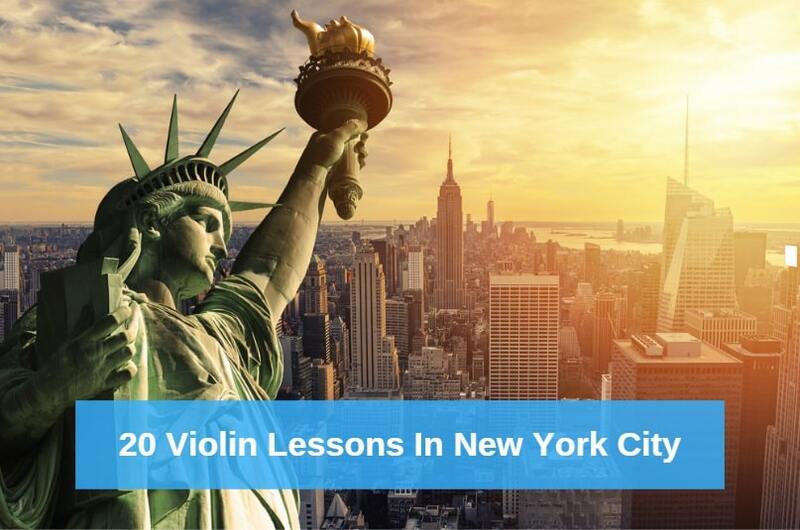 The lessons cover important areas such as hand positioning, learning the chords, using sheet music, using the pedals and studying classical composers such as Beethoven, Handel, and Mozart among others. The website is well made. It has defined features to help visitors explore the online programs. There are also sample videos which play in HD. The online lessons are presented as courses in the English language and the French language. A lesson is started after it is selected. The tutorial video begins showing the scope of the lesson and proceeds in a gradual manner to make comprehension easy for the students. After the monthly subscription is paid, the student is given unlimited access to the entire library on the website. The online classical piano lessons on this website begin with the free course. This package includes an introduction to the basics for people who may have never played the classical piano before. The lessons are for young and older adults. The learning structure has been enhanced to make it easier for older adults to learn at their pace. On the site, the instructional videos are in sync with each other. This way the student is guided through the lessons to ensure they do not miss any important information. There are over one hundred and fifty free videos on the site. They include tutorial videos on reading music, how to play along songs, and learning about the chords. To get started, you will be required to register an account. When this is completed, your login details will be created and sent. With this information, you can login to start learning how to play the classical piano. Your lessons start from either the beginner or intermediate level according to the specified video files on the website. There are free monthly Skype sessions specially created for people who win the lesson draws. Everyone can enter for the draw. Alternatively, students can make a donation to receive these free lessons via Skype. This innovative website is the platform used to host Skoove, an online app. 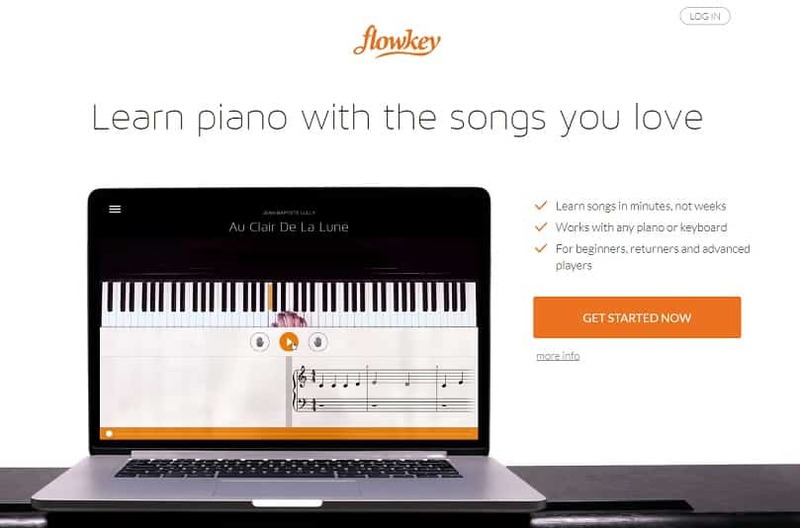 Skoove is used to teach the classical piano lessons in a way that people can start learning at all levels. On the website, the download link for iOS devices is featured. With Skoove, students stand a chance to learn the basics and improve their techniques. Using the apps gives you access to online support from experienced pianists, tips and hints to play faster and better, feedback on performance, and access to many songs for practice. The learning structure on the site is designed to be interactive and fun. The app Skoove is compatible with mobile devices and laptops. During the program, students are given access to over three hundred songs which can be used for practice. At the intermediate level, students can begin composing their songs or practicing with songs on the website. The songs of stars such as Adele, Coldplay, and others have been uploaded on the site. 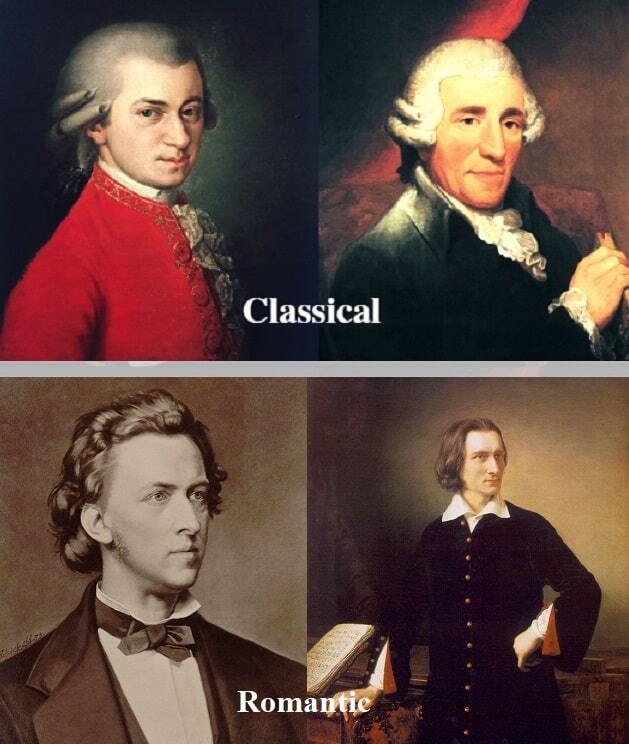 Classical masterpieces from Beethoven, Handel, and others have also been provided for practice. The learning modules also teach improvisation with the classical piano. The lead instructor on this site is Christian Li; he is a piano instructor at the Berkeley College of Music. The website also features blogs which provide useful information to every visitor. 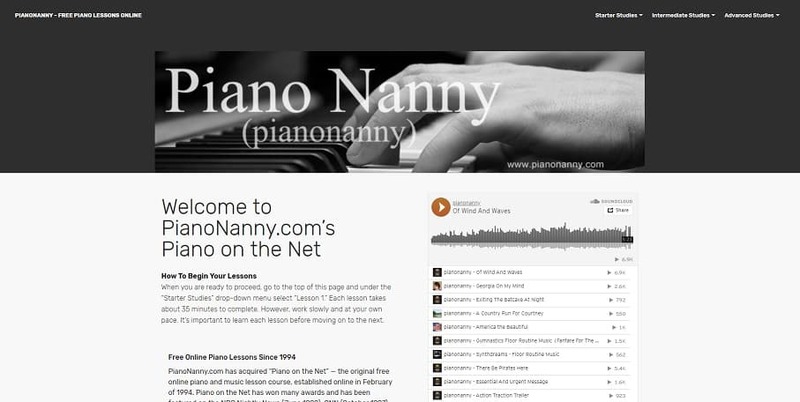 Piano nanny is one of the websites where people can learn how to become pianists for free. The website has a standard layout. It features online classical piano lessons at the beginner, intermediate and advanced level. There are hundreds of online lessons on this site. These lessons have been divided into the different categories to help students start at the right level. The lessons last for about thirty-five minutes each. Students can schedule the time for daily lessons which can run for weeks or over a month depending on the course. However, it is convenient because the lessons progress at the learner's pace. The online classical lessons on this website have been prepared by Clinton S. Clark. He is an award-winning film composer. Clark has published some of his work on the site for free. He is in support of the free online lessons to help everyone who desires to become a pianist achieve their dreams. The lessons are clearly explained to help students teach themselves how to play the classical piano. The audio clips on the site are of high-quality. This makes it easy for students to listen to and understand the lessons. This website offers free and paid online classical piano lessons. People can start their lessons at all levels. 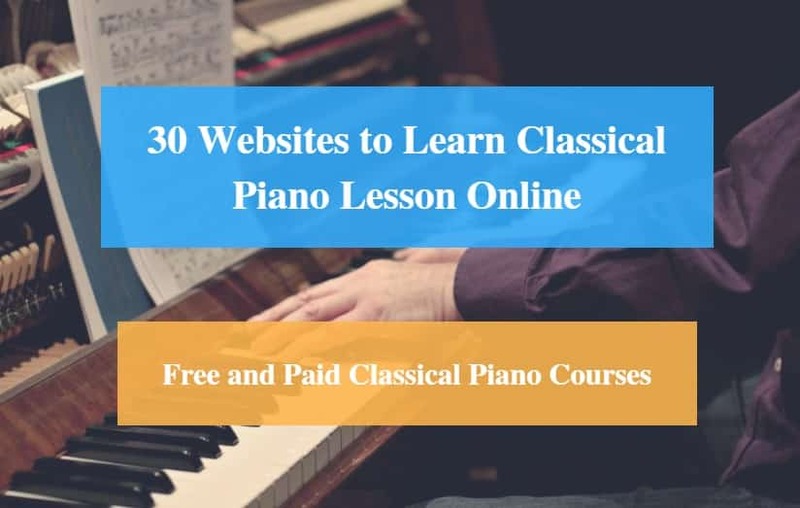 The instructions on the site have also been enhanced to make it easy for people who have never played the classical piano before start learning the right way. The online lessons cover areas such as reading and using free sheet music and the basics of composing songs on the piano. There are also songs that have been uploaded to help the users practice playing along at different speeds. Other lessons available on the site include instructions on how to read the intonations on sheets, and creating original songs. The website features innovative editing tools to enhance the users experience online. All the tools and features on the website are free for all users. However, more useful content is accessible to only registered users. These materials are for those who wish to get the advanced lessons after learning the basics about classical pianos. Access to these materials is easy because there is no need for a download; the content is stored remotely on servers. 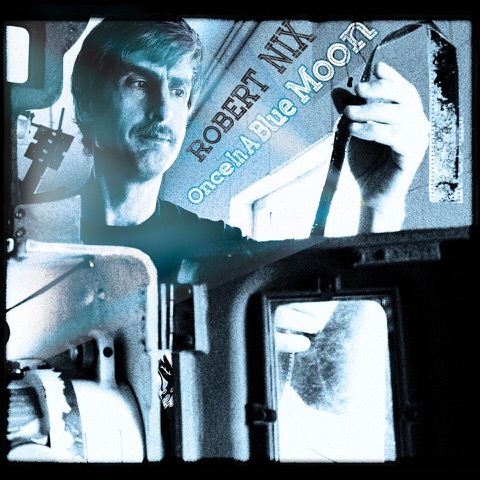 The website is regularly updated with new songs. This is in addition to thousands of songs in the library that have been uploaded for practice. The offered classical piano lessons on this website have been created for young students in high school and older adults. The lessons can be done remotely via Skype. All that is required is fast internet, webcam, a piano for practice and appropriate sound tests. The sound test is done to ensure the student can learn without any hindrances from their homes. The lessons last for about thirty to sixty minutes depending on the level or practice at that time. To determine the best learning structure for the online course, students can contact the instructor for advice and guidance. 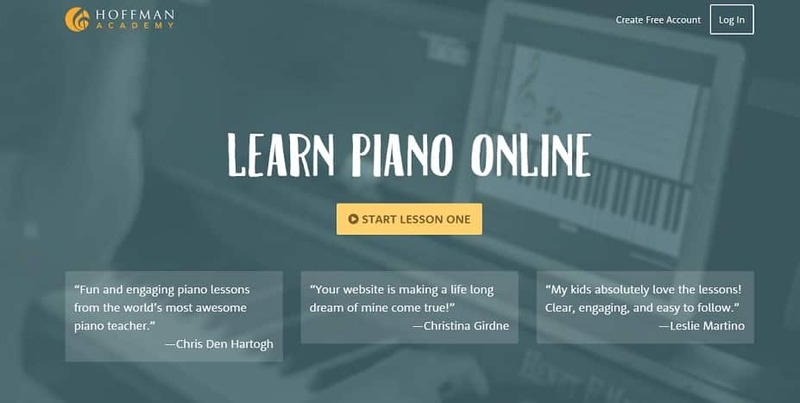 The online lessons cover music theory and practical approaches to becoming a better pianist. Students are taught how to develop their classical repertoire from the right foundation. The website is owned and managed by Erika Gingery a trained classical pianist and teacher. Her experience with the classical piano spans nineteen years, during which she obtained a university degree and Masters in music. Erika offers professional classical piano instructions which can be enjoyed by students from all over the world. She enhances her lessons to be fun and easy to follow. The practical sessions are also well organized to help students apply theoretical knowledge properly. Pianu is an innovative online platform that offers a program which responds to a physical keyboard when connected to the computer. The interactive learning program allows all users to achieve their dreams of becoming pianists while using a MIDI keyboard. Before accessing this program, users are required to register. A profile is completed and access granted. Pianu offers a guided online lesson suitable for beginners and intermediate pianists. There are also some popular songs uploaded on the site. These songs are used for practice after learning the introductory lessons for beginners. The learning sessions are fun and interactive. 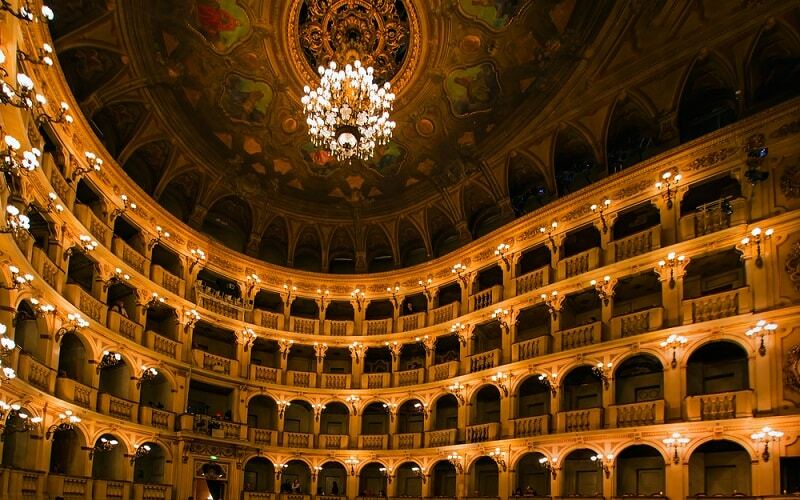 Users have access to a vast library which is perfect for developing a classical repertoire. After registration, the tools on Pianu are available at any time for practice and to learn more classical piano techniques. 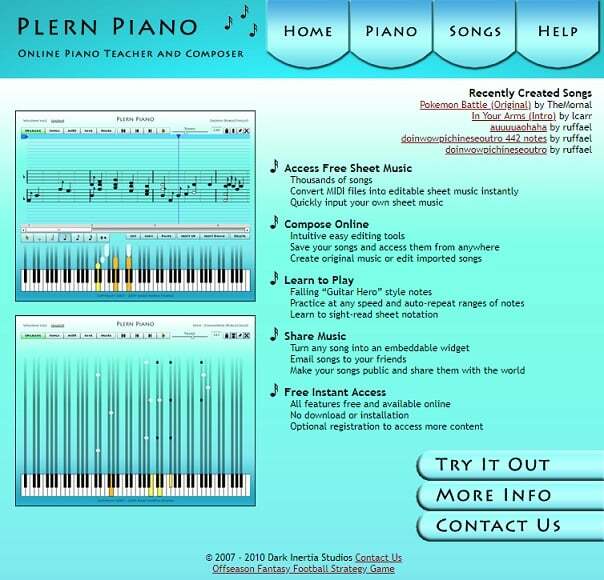 The website is also free for use in classrooms, where teachers need to give students a better platform to learn how the classical piano is played. This is the website for Musiah. It is the innovative AI-based software designed to teach people how to play the piano. The online lessons start with a free introductory package to enlighten the users about the software. The online lessons are designed to be interactive and highly engaging. The online lessons have been categorized. There are plans for young children and older adults who may want to start as beginners or at the advanced lessons. Musiah covers the major areas of classical piano. This includes learning music theory, reading the notes, learning the scales and chords, playing piano by ear, and memory training and performance improvement. It is easy to use; Musiah software is compatible with MIDI portable keyboards which can be connected to desktops, iPads or laptops. The software was invented by the renowned music teacher Brendan Hogan. It is the world’s first Artificial Intelligence-based music teacher. The site reviews are positive. Musiah has been used by over eighty thousand students globally. The feedback received while using the program helps users to master aspects of playing the piano such as the notes, timing and proper duration. The guided lessons help users learn and increase their speed to match the songs they are practicing. The website is easy to use and responsive. 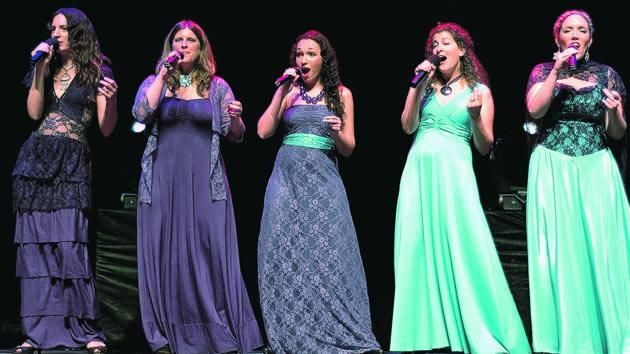 Reviews from past students indicate a satisfactory experience with the Musiah software. This is one of the popular online sources to find classical piano teachers. On the website, there are over sixty completed profiles of music teachers offering to help people achieve their dreams of becoming pianists. The scope of lessons varies. Some teachers offer courses for only intermediate learners while others are willing to teach beginners who have never played the piano before. The lessons last for about thirty minutes. Each course offered is divided into the number of lessons needed to cover the program. On the site, lessons can be booked directly. Alternatively, some teachers offer trial lessons to give an introductory lesson which helps the buyer decide whether the course will meet their needs. There are so many teachers on this website. Visitors can make decisions based on a particular teachers rating on the website. The teachers’ profiles also indicate the benefits of their lectures. However, it is easy to find teachers who offer basic and advanced training to cover the essential aspects of classical piano lessons. The lectures are also mostly pre-recorded video files. This is one of the websites that offers flexible online classical lessons. The number of music teachers on the site has increased over the years. Now students can choose from over fifty teachers on the site. The teachers offer online classical lessons that last for an average of thirty minutes. The courses are bundled to meet the need of students. Choices can be made to purchase lessons that cover the beginners’ lessons to learn the classical piano. Advanced lessons are also available to students who are looking for opportunities to improve their skills. One of the requirements to get started is registering on the website. Then, a search can be done to find music teachers that offer the most suitable lessons on the site. After each lesson, students are encouraged to practice as often as they can to improve their skills. The lessons are mostly presented as video files, audio files, and PDF files which cover the theoretical aspects of the courses. The website is user-friendly, and the reviews from past students have been great. On this website, students can perform customized searches to find the most suitable music teachers. 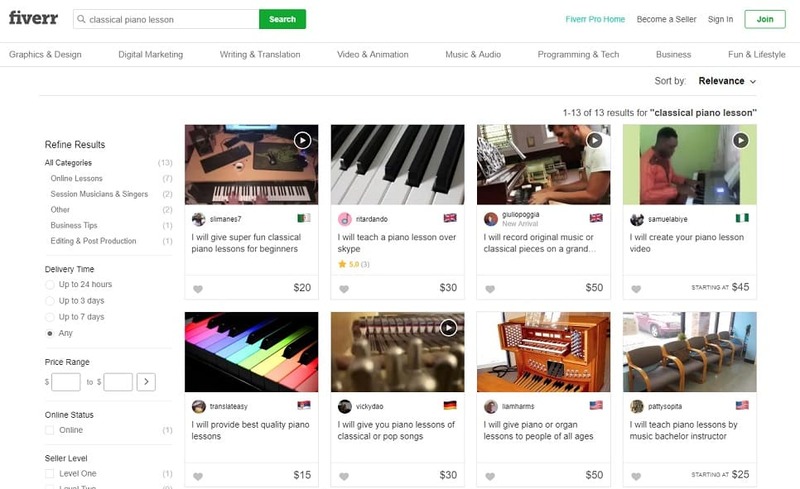 In a few minutes, search results can present information such as the music teachers available to teach classical piano lessons within the students’ budget. The teachers on this site have been vetted to ensure that all the users get value for their money. Lessons can start at the beginners’ level or intermediate level for more experienced students. Before buying lessons, students can read the teachers profile to ensure the lessons offered meet the needs of the students. The lessons are usually uploaded as video files sent via email. 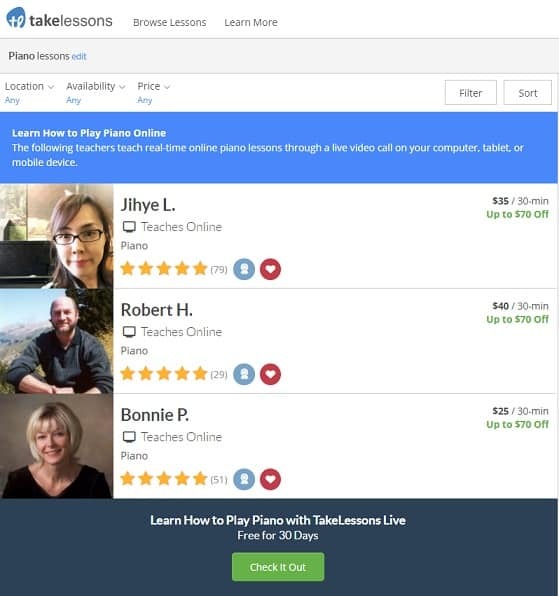 Some teacher offers private lessons organized via video streaming websites online. Preply is a commonly used online source to find good music teachers. Students can locate music teachers who speak their preferred language to make the learning process easier. On the profiles, the music teachers indicate all the languages they can fluently speak if they are bilingual. Students are also offered the chance to book trial lessons. These lessons give an insight into the course and what the students will learn if they choose to purchase the complete package. The teachers have also been rated by past students; viewing these ratings can encourage more patronage when the teacher has positive reviews. The online classical piano instructors on this website are professionals with many years of experience. They are willing to share their knowledge, tips, and tricks with students from all over the world. Many of the instructors have been trained in reputable universities, while others have extensive experience playing at popular concerts. The lessons on this site are mostly for intermediate pianists who are preparing for auditions or examinations. However, some teachers make provisions for beginners to learn from the masters. The music teachers have been drawn from all over the world. There are teachers from Asia, the United States, Australia, and other parts of Europe. Thus students can buy lessons from teachers who come from their home countries to make the communication easier. There are currently seventeen classical piano teachers on this website. They have all been vetted to ensure that their lessons offer high-quality to the users after purchase. The rates also vary; this can be a deciding factor when making a choice among the teachers available on the site. The lessons are presented as high-quality video files that can be uploaded and studied. Some teacher offers bonus learning materials that they have accumulated over the years. This is a website for all enthusiasts who would like to learn how to play the classical piano. The online lessons on this site have been designed for adults and children. To begin, the student will complete a short form which indicates if they are beginners or intermediate pianists, and other information such as location, email and contact information. The online lessons have been created based on a creative, challenging and exciting format to encourage students to feel comfortable and confident while learning. The courses start with music theory which includes the history of classical music, and more information about the chords, notes, how to form a repertoire, and other useful information. Students are then introduced to the musical instrument to begin practicing the notes, and other classical piano techniques. On the website, the teachers infuse humor, and interactive methods to engage the students throughout the course. These lessons are also suitable for students who are preparing for auditions or examinations. The teachers have been vetted based on their ability to study students’ progress and adopt the best methods to help them improve. Each teacher has accomplished remarkable achievements in their personal careers and trained teachers who have been helping students learn how to play the classical piano for many years. The online lessons are coordinated via Skype according to the schedules most convenient for the students. It is now easier to become a confident classical pianist by registering for any of the numerous courses online. 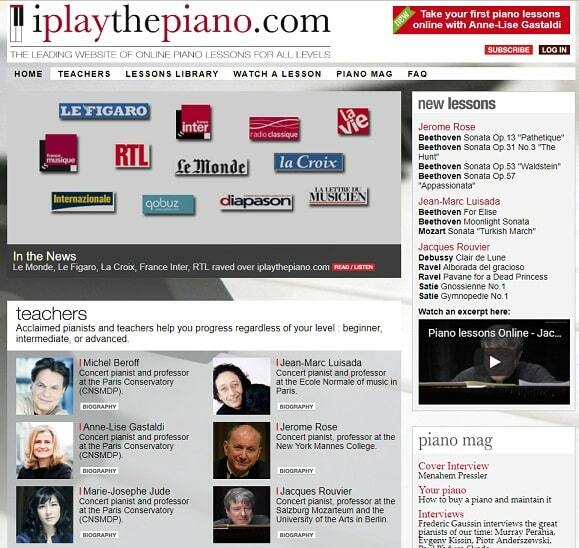 Some websites offer membership plans to people interested in becoming pianists. These plans may vary, depending on the costs. A membership plan can give you access to premium content that has not been displayed in the regular sections of the website. Some people also look for sites that offer membership plans because they need a forum for networking with other pianists. Some important features to note when studying membership plans include the specific advantages offered, the duration of the plan, payment plan, and terms and conditions which determine renewals and cancellations. Another important point to note, competent online customer support service is important. When searching for websites that offer classical piano lessons check if this support service is available. Some sites feature live chat bubbles that can be used to communicate directly with the instructors. The presence of online support is essential to help resolve issues if there are glitches on the site or issues regarding payment for services. 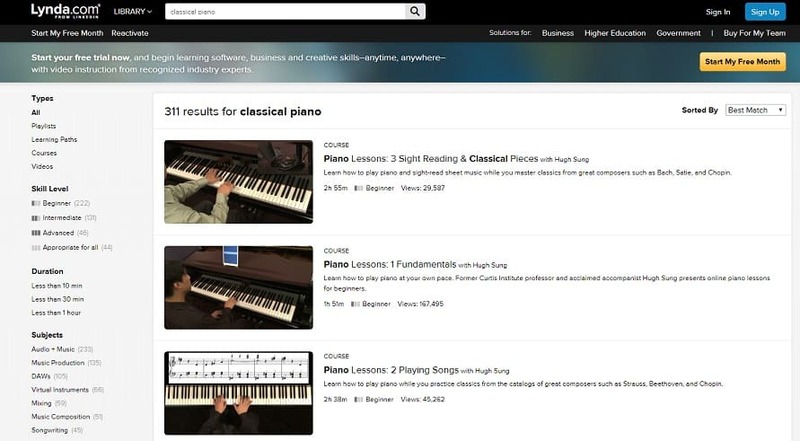 There are other websites that have adopted more innovative approaches to learning classical piano techniques online. On these websites, special software is used to teach these unique methods. It is important to find out if there are special computer requirements needed before using such software. In some case, the software may require a large amount of space, while others need higher capacity computers to run smoothly. To avoid losing money, you should ensure your computer can run the software smoothly. Some websites that offer these online lessons also regularly update their content. 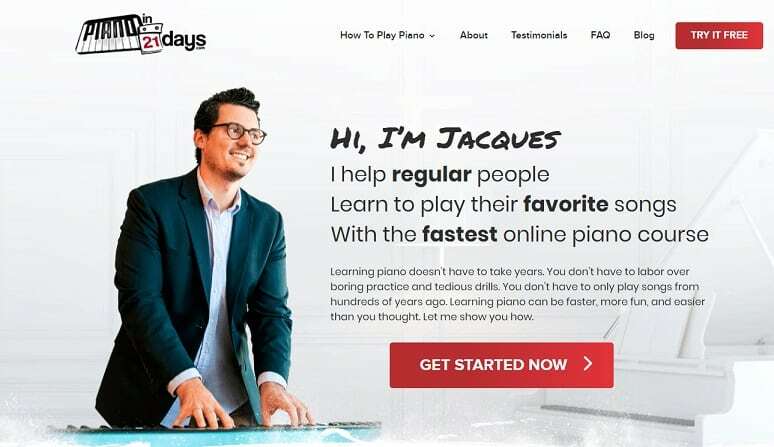 These are the best websites to use for your online classical piano lessons. These websites offer recent information and use newer teaching methods that can help new and older students improve their skills remarkably. There are also online academies that are more practical oriented regarding teaching their students how to play the classical piano. These options may not be suitable for students who are interested in musical theory. The theoretical aspect of classical piano is an interesting study. It is best to ensure the website offers a comprehensive mix of theory and practical training before proceeding to register or make payments. The details of the lead instructors are also displayed on the website. Students can research to study their backgrounds. This information will be crucial to determine if their teaching methods are appropriate to meet your expectations.